Eliana Hughes is struggling. She is going through a difficult pregnancy and is having doubts about her marriage to an ever-increasingly distant Martin, when an anonymous note throws her life into even more turmoil. As the person behind the note steps up their campaign to convince Eli her husband is a cheat, she finds she can’t even trust her own instincts. Elsewhere, someone is waiting. Someone who desperately wants a baby to call their own. Someone who will do anything to become a mother. Little by little, Eli feels the ground shifting beneath her feet. The sickness and nausea is getting worse. Her job becoming more pressured. She is tired. She suspects everyone is lying to her. Suspicion and jealousy are eating away at her. 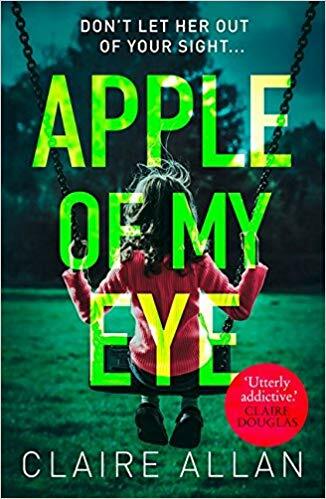 Set in Derry and Belfast, Apple of My Eye is a dark and twisted look at motherhood, at love, death and grief. It’s also about how far a mother is prepared to go for her child. All sides of motherhood are represented – its joy and its pain, and the raw longing of those who want a child but are unable to have one. I thought the character of Eli - a woman on the edge - was extremely well-drawn. Her job as a palliative care nurse in a hospice was realistically and sensitively portrayed, and she was convincing as someone who was normally independent and strong but had been rendered vulnerable by a difficult pregnancy. The three sharp points of view - Eli, her mother Angela, and the mysterious Louise - add to a creeping sense of dread in this extremely well-paced novel. Claire Allan is the latest in the wonderful cohort of Irish novelists whose work I would encourage anyone who enjoys an extremely well-written psychological thriller to read. Claire Allan is a former journalist and columnist and has been writing fiction since 2006. An Irish Times bestseller, she has tackled issues from post-natal depression, infertility, and dementia through to writing a based-on-a-true-story book about a couple reunited after 50 years apart. She has now decided to unleash her dark side! Claire is married with two children, and two cats. She is happiest lost in a good book. Mary-Jane Riley wrote her first story on her newly acquired blue Petite typewriter, when she was eight. 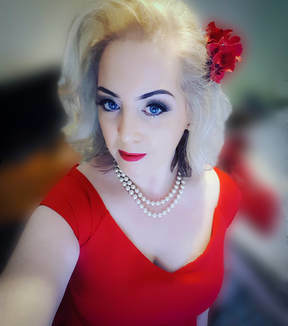 When she grew up, she had to earn a living and became a BBC radio talk show presenter and journalist. She has covered many life-affirming stories, but also some of the darkest events of the past two decades. Then, in true journalistic style, she decided not to let the facts get in the way of a good story and got creative. She wrote for women's magazines and small presses. She formed WriteOutLoud with two writer friends to help charities get their message across using their life stories. Now she is writing crime thrillers drawing on her experiences in journalism. 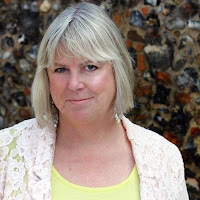 Her third book set in East Anglia and featuring investigative journalist Alex. Dark Waters was published by Harper Collins/Killer Reads in March 2018.